Expired 2d ago . Last validated 2mo ago . Used 73 times. 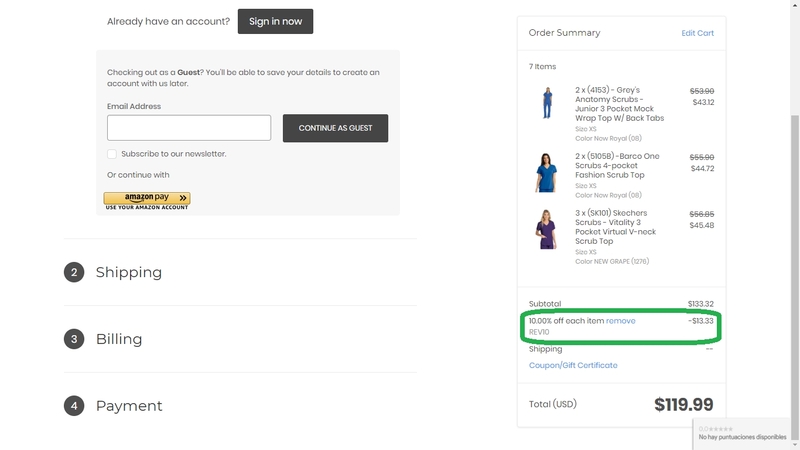 Alexander Iriarte This great deal is working as described, go to the store, add your items to the cart, use the coupon and get 10% Off Your Order at Jen's Scrubs and Medical Uniforms. 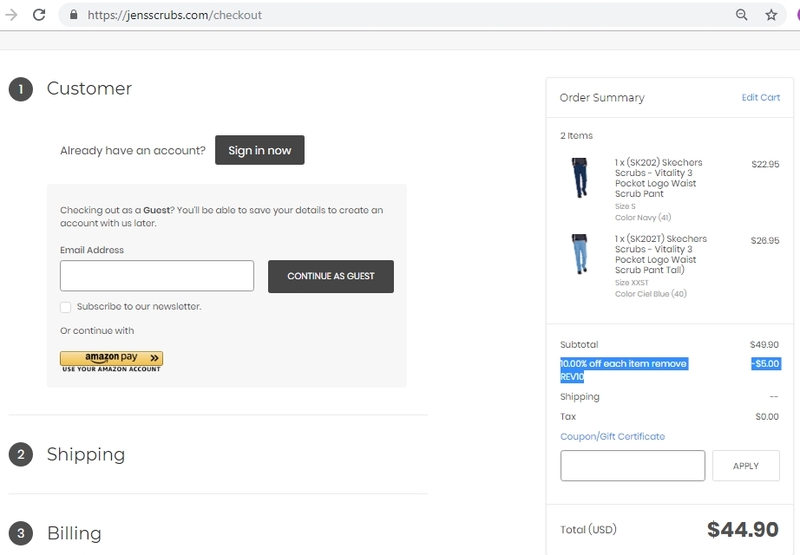 Leng-Leng As of 12/22/18, I tested this promo code and verified that it works as described.Exclusions apply. 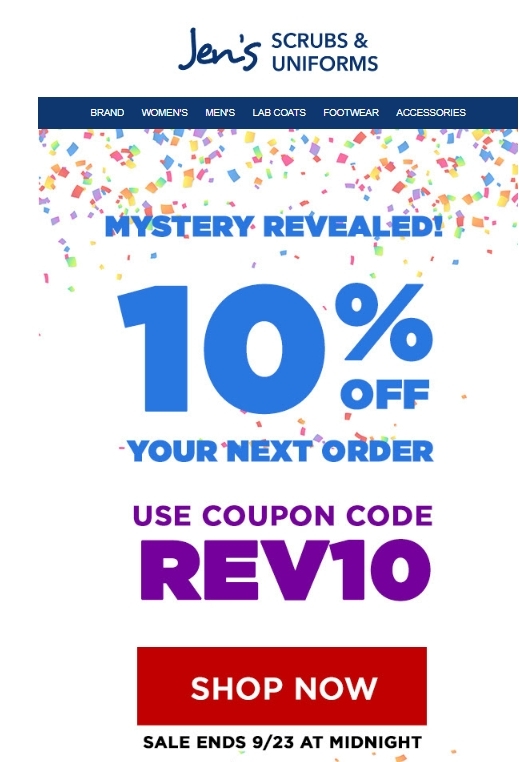 DealsIn Apply promo code REV10 in the shopping cart. 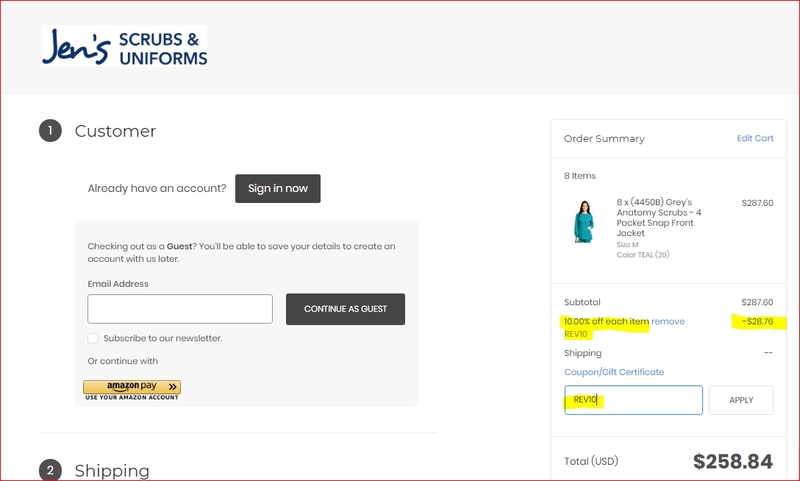 Offer cannot be applied to previously placed orders, and some restrictions may apply.